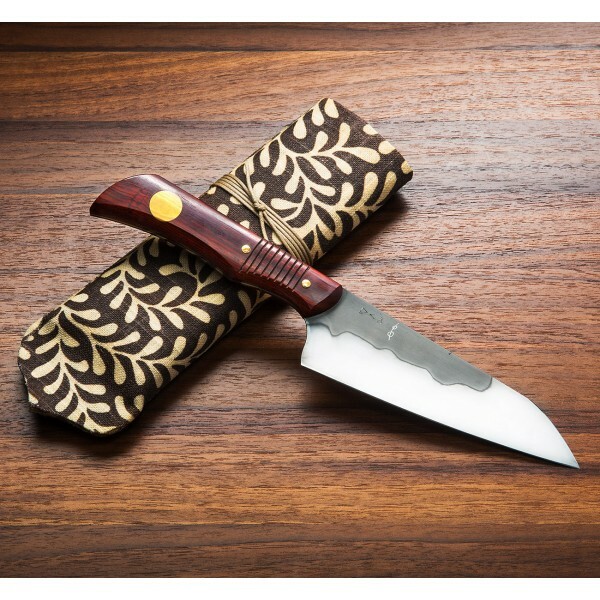 Don Andrade's Full Tang Tribal Utility knife, or FTTU as it is known, gets dressed up this summer with gorgeous old-growth cocobolo handles fitted with an antique micarta inlay and peened brass pins. The 1095 carbon blade is differentially heat treated using clay, then etched and polished to produce a head-turning hamon line. 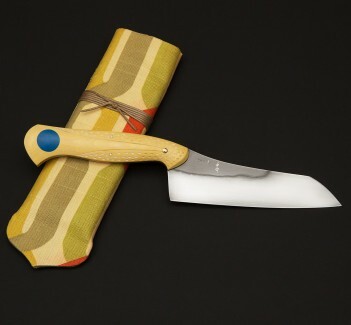 With 5.5" of edge on the uniquely shaped utility blade that offers both knuckle clearance for chopping as well as a profile and handle shape that lend themselves to detail work and careful slicing, all in a lightweight and beautiful package, the FTTU is, in Don's words, "a fantastic 'go-to' knife' for virtually any cutting task. 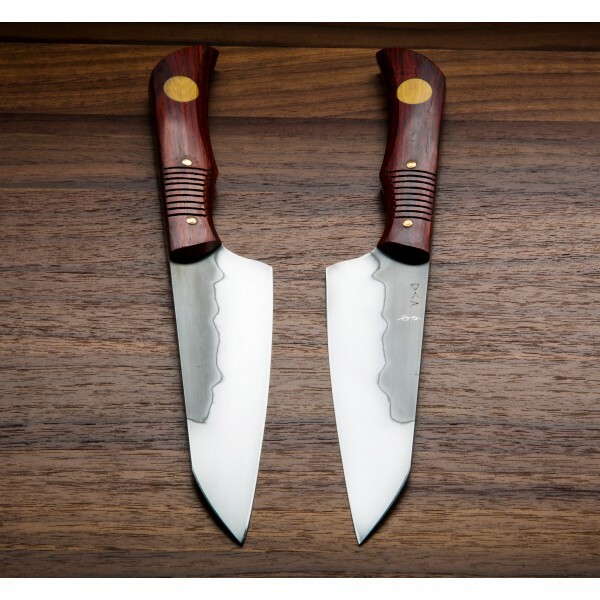 A recent addition to bladesmith Don Andrade's lineup for the kitchen, the FTTU model is a wonderful example of what happens when a chef, sculptor and blacksmith builds knives for the culinary world. 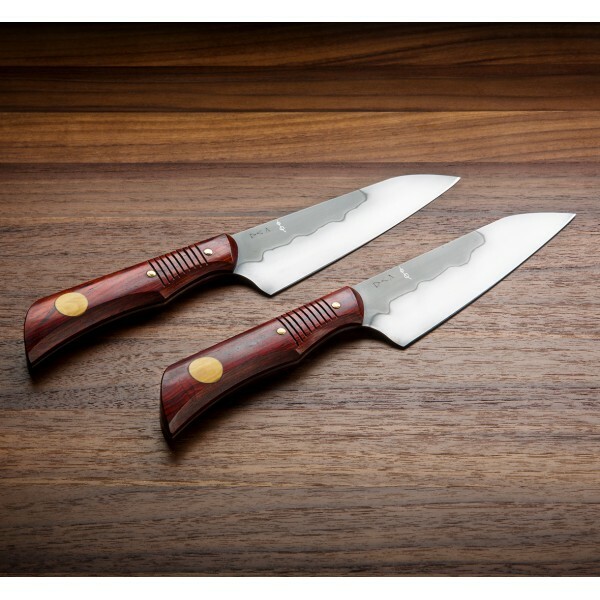 Thin behind the edge but stiff enough for heavy use; compact enough for small kitchens but large enough for virtually any task; beautiful enough to make the other chefs jealous, but built to withstand generations of everyday use. 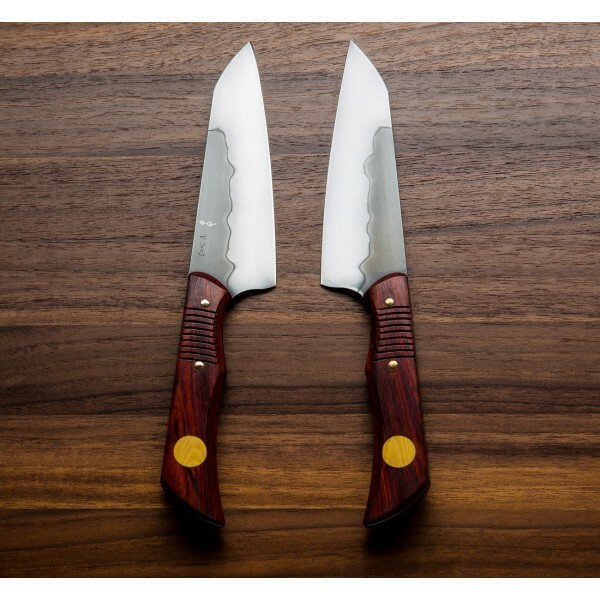 Don Carlos Andrade's custom chef knives are second to none and we're proud to offer his work on Eatingtools. 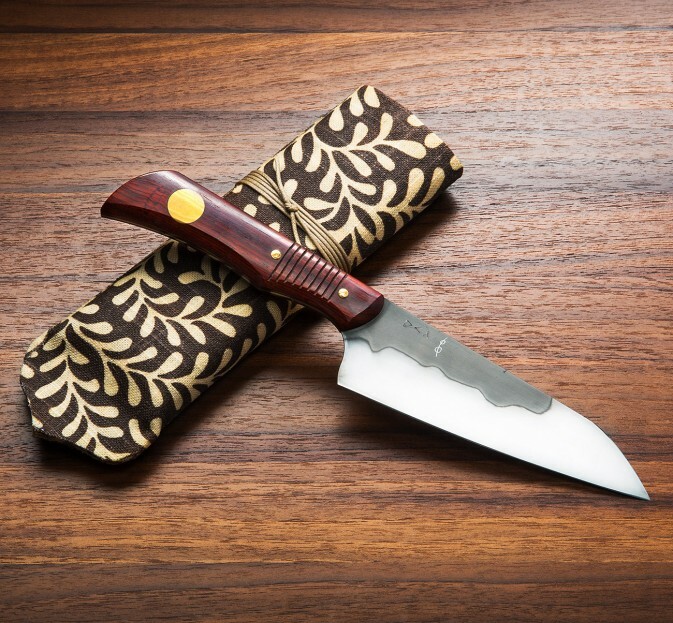 Blade length: 5.5" (140mm).  Overall length: 10.5". 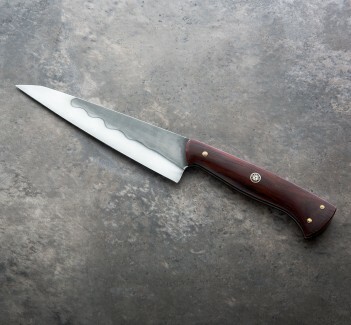 Blade width at heel: 2.6mm. Blade height at heel: 42mm. Weight: 4.6oz / 130g. 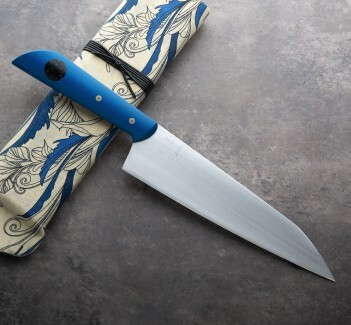 1095 differentially heat treated carbon steel blade. 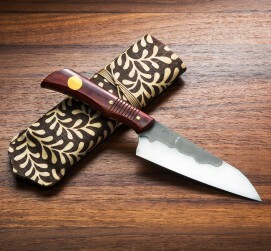 Old growth cocobolo wood handle with antique micarta inlay and peened brass pins.